Sunday night has been a popular destination for ABC thanks to the TV Show "Revenge." Keeping viewers on the edge of their seat for two seasons, the show follows Emily Throne as she plots her revenge against her father&apos;s death. Based in the Hampton&apos;? ?s, through the show we see Emily wearing a beautiful necklace that symbolizing a love that lasts forever. 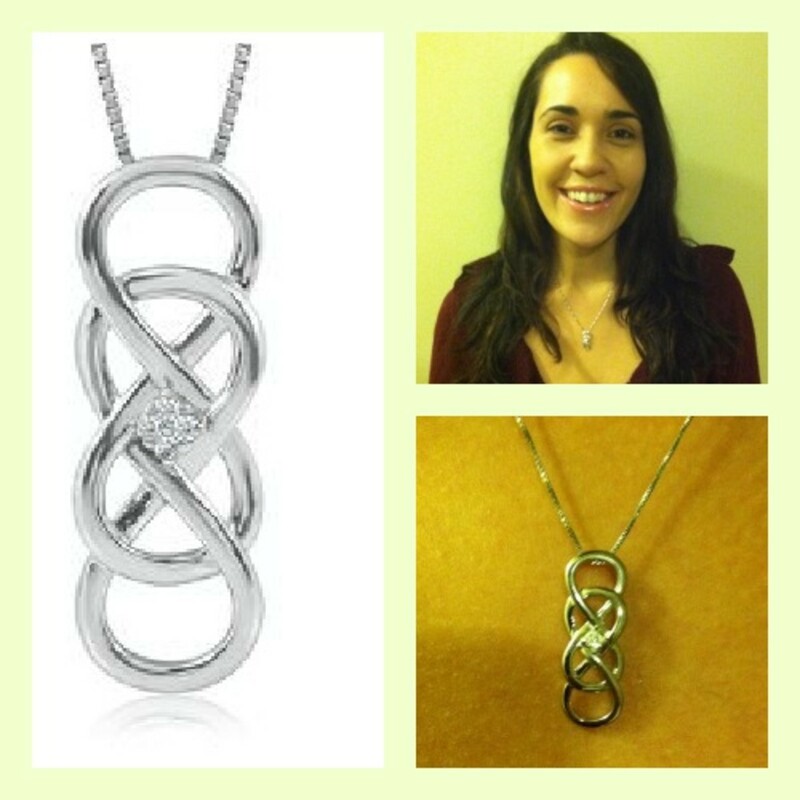 Inspired by the hit show, Helzberg Diamonds, a company that takes pride in having extremely strict standards for diamond quality - especially when it comes to the cut of their diamonds, launched an exclusive INFINITY X INFINITY jewelry collection featuring the pendant from "Revenge" in beautiful necklaces, rings, bracelets, and earrings. Designed by award-winning jewelry designer Udi Behr, the collection embodies the impeccable style that is so iconic to &apos;? ?Revenge,&apos;? playing off the double infinity insignia that has been a recurring icon since season one. Featuring 21 pieces ranging in price from $49.99 to $999.99, I love my INFINITY X INFINITY Sterling Silver Necklace that I recently wore when I took my daughter to the Nutcracker. Accented with a diamonds in the middle, the necklace was stunning and looked incredible as it rested above my collar bone. A perfect gift for your best friend, sister, mom or aunt the INFINITY X INFINITY jewelry collection also offers a stunning diamond ring, sophisticated INFINITY X INFINITY Diamond Earrings in Sterling Silver & 10K Gold, and the INFINITY X INFINITY Diamond Bracelet in Sterling Silver & 10K Gold (to name a few favorites). As a unique and beautiful option for the holidays, the INFINITY X INFINITY jewelry collection is a classic gift for the holidays that will truly touch that special person in your life.